I'm hooked on these dark Belgian chocolate lace cookies I got from Les Chocolateries in Cebu, thanks to my friend Therese! I found their Multiply site earlier and discovered that these can be ordered in Manila! Hallelujah! By far, these are the best cookies I've ever tasted. 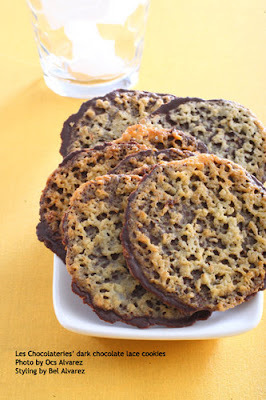 They're thin and deliciously crispy, and the dark Belgian chocolate is very rich. Other flavors are mint, white and semi-sweet chocolate, available in packs of 300 grams (390PhP) and 600 grams (600PhP). 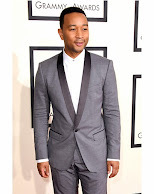 Log on to their Multiply site for more information on how to order. I'm putting their numbers on speed dial! Happy Holidays! Order Cebu's Belgian Lace Cookies from Le Doux Atelier Sweet Shop. New contact details - tel. no. (02)6681829 Globe 09165530330 Smart 09088788825. Free delivery within Metro Manila for a minimum purchase or pick up at our Alabang store/Mandaluyong residence with no minimum order. Pls call us anytime for all your inquiries. Thank you. God bless! Good day Ms. San Diego! 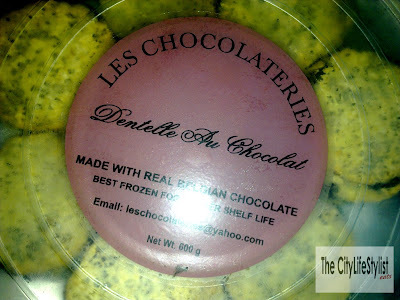 Les Chocolateries are available in Don Merto's Cebu. You'll be glad to know that we sell them cheaper in Manila. We are on sale this month 300g-Php400 500g-Php590 600g-Php690 variants: dark, semisweet, white, mint & assorted. Assorted has all except mint. Cebu's selling price 300g-Php423 500g-Php592 600g-Php709. We give bigger discounts when you order 50pcs or more. TIP* If these to die for cookies are over your gift budget you can repack them to smaller containers. Packaging is also available. Call us now at 6681829. Thank you! Hello Ms. San Diego! Cebu's Les Chocolateries just got cheaper keeping the excellent taste and quality. 300g Php390 500g Php590 flavors: dark, semisweet, white, mint and assorted. Order now :) For orders, please text or call 09165530330 or 6681829. Thank you! God bless! Hello Ms. San Diego! Cebu's Les Chocolateries just got cheaper keeping the same excellent taste and quality! Order now :) 300g Php390 500g Php590 flavors: dark, semisweet, white, mint and assorted. For order please text 09165530330 or call 6681829. Thank you! God bless! Hi, are they still using the same contact numbers? 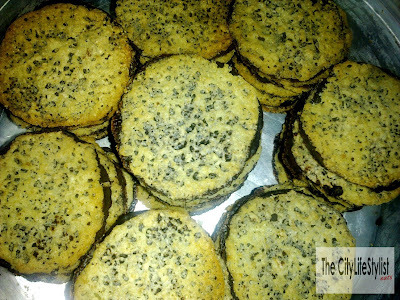 Cebu's original belgian lace cookies are available in Metro Manila, Cavite & Pampanga.